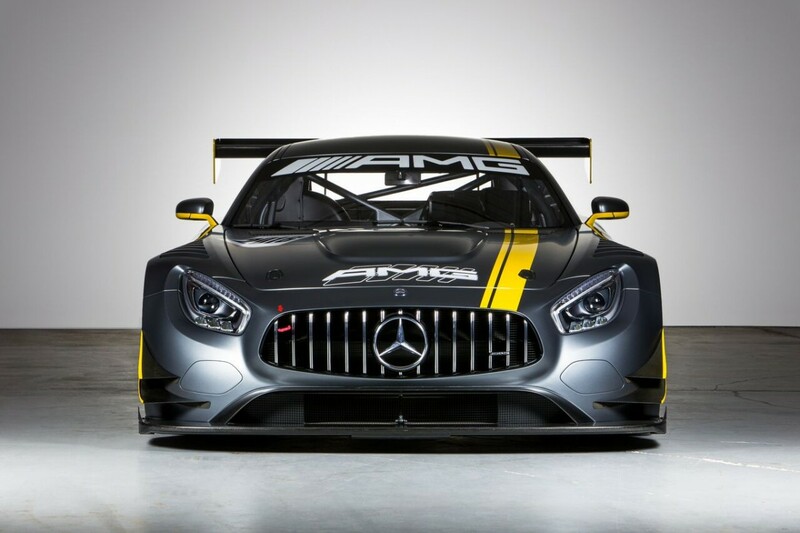 Mercedes-AMG and Cigarette Racing have teamed up again to “pump up the performance” with the launch of the Cigarette Racing Team 41’ SD GT3. 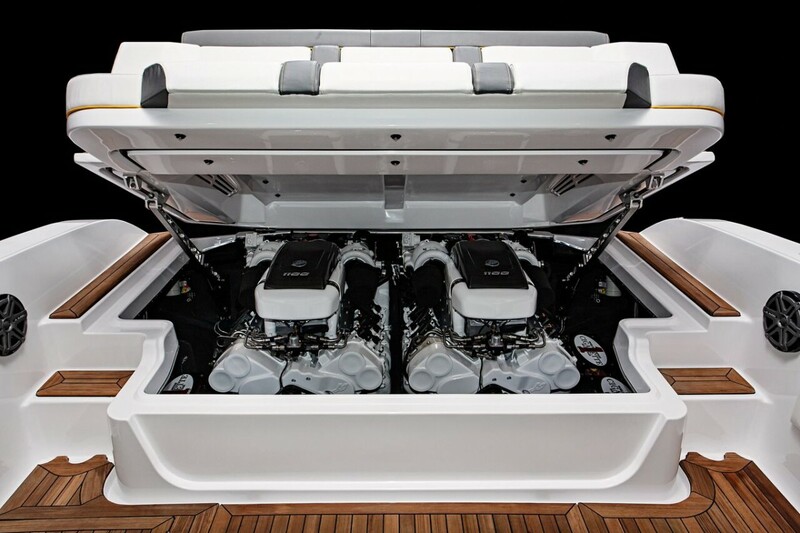 It’s billed as the most powerful “open performance” boat ever produced by the Cigarette Racing Team, and that comes as no surprise. It’s inspired by the Mercedes-AMG GT3 race car that was developed to comply with the FIA’s GT3 race rules. The Cigarette Racing Team 41’ SD GT3 is powered by a pair of 1,100 Horsepower Mercury racing engines and is able to achieve an estimated top speed of more than 100 MPH. The design and construction of this powerful boat reflect the quality and and performance oriented characteristics of the Mercedes-AMG GT3 race car. The handcrafted interior and exterior, featuring matte components, a complete teak wood floor and a full extreme marine grade leather interior—a first for Cigarette—was designed by the Head of Design Daimler AG, Gorden Wagener and his team. 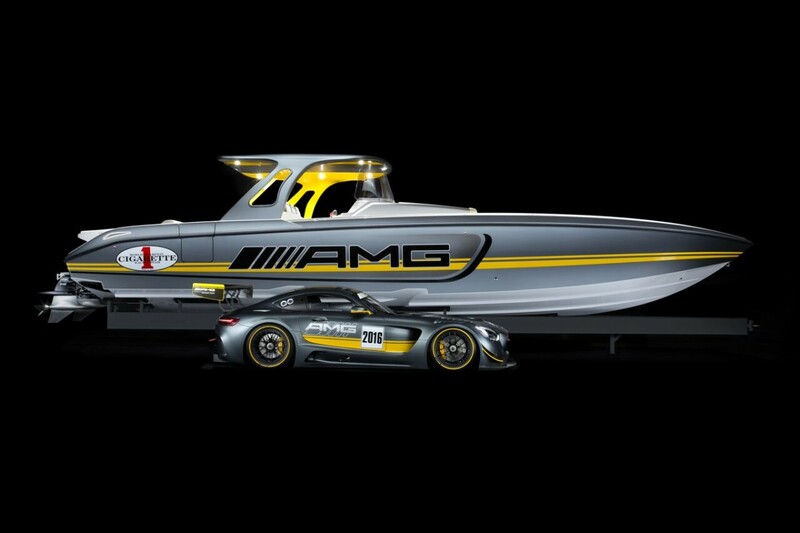 This newest Mercedes-AMG Cigarette boat has blow-your-hair back power to burn. Just imagine how fast you could be if a trailer hitch is an available option on a Mercedes-AMG GT3 car. Previous articleEver Wonder What It Would Be Like To Own A 252-Foot-Long, $86 Million Dollar Superyacht?